21 Jul 2017 Washington, D.C. The Trump Administration has essentially “abolished” the practice of deferring deportations for illegal aliens in immigration court, a new report claims. A new study by the Transactional Records Access Clearinghouse (TRAC) finds that under Trump’s immigration orders, attorneys with the Department of Homeland Security (DHS) are no longer asking for prosecutorial discretion when it comes to deporting illegal aliens. Prosecutorial discretion disclosures have been used to enact lax immigration decisions where only illegal aliens who have committed violent crimes are prioritized for deportation. Likewise, deferment of deportation for illegal aliens was a common practice during the Obama Administration. In the first five months of the Trump presidency, there have been less than 100 illegal aliens per month being given prosecutorial discretion disclosures, according to the study. This is a sharp decline from the same first five months of 2016, under Obama, when 2,400 illegal aliens per month were given discretion. “As the latest court data demonstrate… under President Trump discretion to defer deporting individuals – irrespective of their circumstances – has largely been abolished,” the TRAC report states. At the same time, Attorney General Jeff Sessions’ adding immigration judges and sending many to regions near the U.S.-Mexico Border, where the most border-crossing occurs, has contributed to a rising deportation rate. In Trump’s first five months in office, 8,996 illegal aliens per month were given deportation orders. In that same time frame in 2016, only 6,913 illegal aliens every month were given deportation orders. The number has fluctuated under Trump. 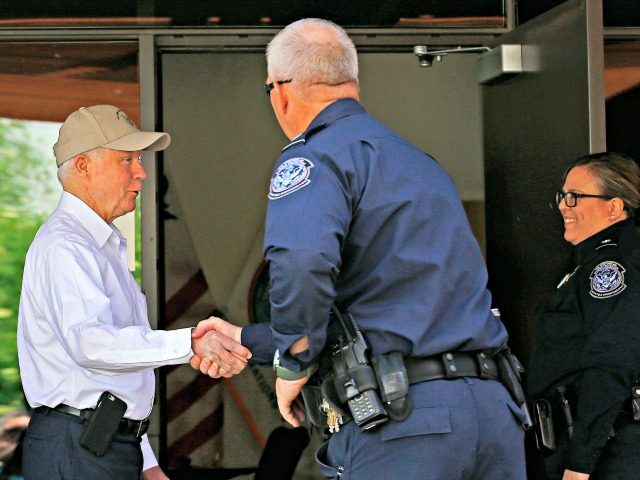 For instance, in March, more than 10,000 illegal aliens were set to be deported out of the U.S. Three months later, the number of illegal aliens being given deportation orders dropped to more than 8,900.